For example, you can even create a new image for each session, before you had just the picture you got from the hangout. Is it becoming harder to work with? At some points, you’ve got many more options and settings. But generally, it is the same as you can create content. But there is still an affirmative action and time you can take into account. Now go on air immediately, and youtube shows you how good a program you are going to create. You also get significantly more options to create the perfect setting to suit your network speed and your computer’s power. Why not take the time to do a webinar? For me, it is important to learn and exceed the limit which makes me even comes top of the learning pyramid. It from where I can make a real difference for myself. For you who come to see it, I might be able to contribute with that you also get a better understanding of the substance that I go through. It is and feels like to exceed the limit when you put your first event up, but no matter how many people view it and no matter what problems you encounter along the way. Will it help to give you a much larger ballast and a significantly better understanding of the substance itself? As you know, I have built and continue to build on this side around what is good style and what are scams online. In my webinar, we come to talk about WordPress and context, which I think is the basic for at all to have a business online. My sessions will always be outside the purpose that I have to promote a product. My goal is eventually to create good teaching. Around the building a website. How do I get people invited to participate in the session? Sometimes people come all by itself, yes there are sitting people waiting to start a new session almost all the time, but it’s not the ones you want to contact. I creates a session for a particular audience that I either find by the Meetup which I participated or also I invite you from the groups I participate in social media. In time, I create an email list that I can write to get every stream that I will put up. Has it become better after that youtube has taken over the service? Hangout on air was very easy and user-friendly. You do not need to download software for the purpose, but I think although there are much more things to consider for now you have a more stable platform you can build. With it requires a little more practice to set it up and get it to work so you also give your viewers a real experience of streaming. But youtube, like the rest of Google, hospitalized several more tools. They have also provided better opportunities to create a Brandt to your sessions. Compared to hangout which I think was a straightforward and easy tool to go to then you’ve got many more choices to work. Ok, how do I get started with it? First of all, you must have a Gmail account. Once you have opened it, so you have access to all the services that Google offers such as doc, Google + is social media. 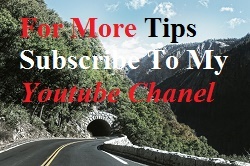 What you will need is your access to youtube which function as both hosts your videos and live streaming. The first thing I will do is build my channel up like I do with other social media, youtube is also such a. Then create your profile and upload an image, it’s part of it to build your brand later and give you followers of the channel itself. Since it is videos we come together, it’s also a good idea to make a small presentation video of what we can expect from you in the future. There are many things you can do to make your channel enticing, but it’s not what I want to talk about here. The next thing you need to do is go to the button labeled Video Manager and click it. On the left side, you will see a button labeled live stream. Press it, and you are on the page on which your live stream takes place. Is this the first time you have to make a live stream then you have to get an encorder. Out on the right side is one column with different questions, here you saw at the top find your encoder. I recommend that you select the bottom of it is free and without watermark. Some of are reasonably expensive and I did not feel that had a secure payment form, so I chose the one called OBS. But it may be that you feel that one of the other better suit you. I just do not spend money if I do not know if it works correctly. 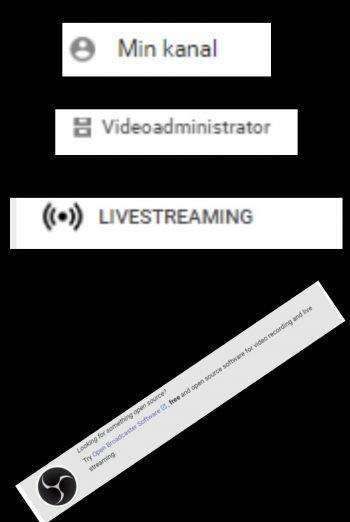 Ok, you have the software on your computer, and you have the live stream side open from youtube. On encoders you then go into the settings and click it called? Here you will find a curtain with a code. The system switches out the code that youtube gives you. And Bingo you started with your first stream. At the bottom of the tool you have some white areas, here you need to keep your mouse over and right click it. Here you get so the options and settings which are the most accessible. You can control the sound and picture here. Yes, you can set it up for different types of streams, for example, if you want to share a game, then there is a solution that works better for it. Again, you can set it up to share your screen. But all these features are some you should test. The only thing you have to find somewhere else is your webcam, but most computers have a fixed mounted so it should be very easy to let your followers see you from time to time during the session. Let’s go back to youtube to create a seance. First of all, you can create an image for the session. I want to make it relevant to what the session will be about. Here you can switch it off at the next session you want to keep. Under advanced settings, you must create the invitation that you can send out your social media. Now I know that it is also up in time to create a list of followers to your website, then here you have a unique opportunity to invite people from your stream. You can create a text that can tell what you want to show. Next, you were just creating a time and date for your stream. So people can come and participate. The link associated with your channel so it’s the same link you must promote by every investigate just stream. 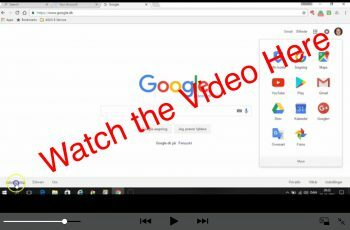 Where there is a difference is on the rerelease you here may create a new and edited video on youtube has a video editor so you can easily edit and make the much shorter when you finish the session and once it is. In the body of your office to the session, you have both the ability to chat with your viewers, and you have the opportunity to analyze the actual course. But you see the video itself which I published I think that you will get a much better picture of what to do. To learn more about where and how I build myself up online so take a look at where I teach and how I work with my online behavior. Yes, it is possible to find all the information itself, but it can take a long time, besides it offers this community a unique service for your website. Let’s meet on the other hand I am sure you have many questions and need help to move on. So write to me there, and I will enthusiastically do everything that you can get started. Knowledge is power, so thank you for the knowledge I just received from reading about creating a webinar. I is even more exciting to learn of a free tool. As time goes on I expect to make videos also, so it is interesting to discover the steps that are necessary to do so. I also appreciate that you shared how to get people to participate in a webinar session. That will come in very useful. Thank you for your kind comment Judy! 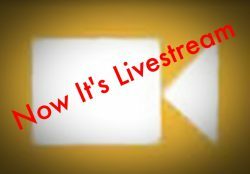 Creating a live stream is a way to share knowledge. The good thing here is that it will pass away from exactly the same account, Ja video media is definitely the most fun to work with. I like to write but to teach when I talk over, is one of the most ultimate to create. PS Let me know when you have created a video, I would really like to see what niche you are moving.